1. 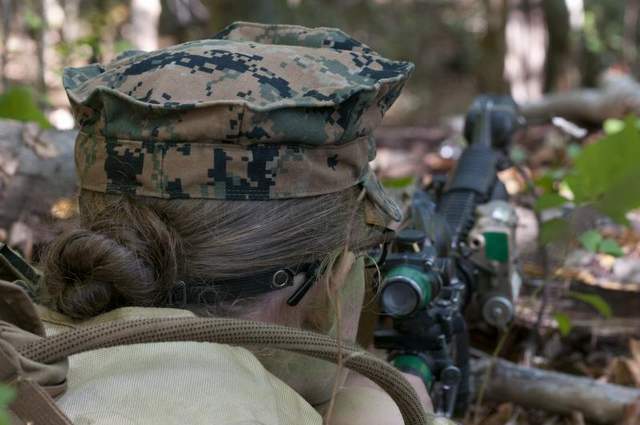 The Corps is looking for about 500 volunteers — women and men — to serve as the ground combat element of an integrated task force that will be stood up at Camp Lejeune, North Carolina, in June. 3. The Marines be split into four squads as they conduct a mock pre-deployment workup under close scrutiny. One squad will be made up of all women, one all men, one split 50/50 and the last with female Marines in the vast minority. Marine leaders and college researchers will closely assess their performance over a six to eight month period. 4. Male volunteers will work within their primary military occupation specialties during the experiment. Women selected to serve in combat arms positions — including rifleman, machine gunner or mortarman — will have to go to MOS school. 5. The Corps is looking for sergeants or below with less than nine years in-service. Those looking to fill combat arms MOSs must have at least a third class score on the male version of the physical fitness test. The full list of eligibility requirements can be found in Marine administrative message 252/14, dated May 22. Nothing seems to work for my back pain, so I am hoping that any of these 3 table inversion works.